Fort Hood shooting suspect Maj. Nidal Malik Hasan may have talked about killing soldiers a far back as 2008. 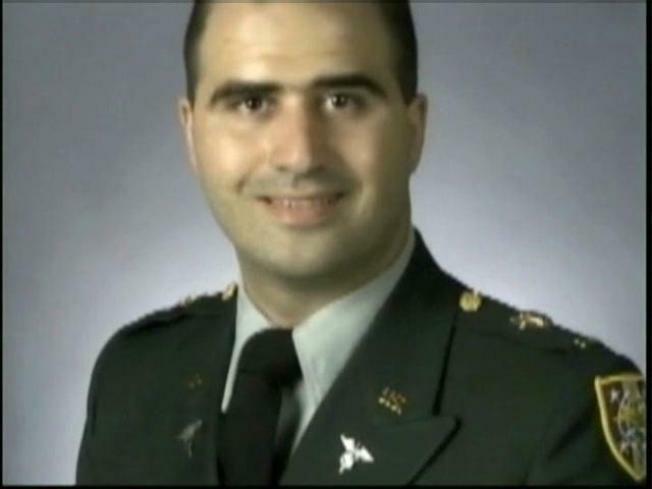 A radical Muslim cleric claims Army psychiatrist Maj. Nidal Hasan asked him about killing American soldiers nearly a year before Hasan allegedly shot to death 13 fellow soldiers at Fort Hood. In an interview Wednesday with the Arabic-language news network Al-Jazeera, Anwar al-Awlaki, considered a key recruiter for al-Qaida, said Hasan asked him in a December 2008 e-mail "whether killing American soldiers and officers is lawful or not" under Islamic law. In the interview, Al-Awlaki then appears to taunt U.S. intelligence and security, saying, "I wonder where were the American security forces that one day claimed they can read the numbers of any license plate, anywhere in the world, from space." He also said he first met Hasan about nine years ago when he was imam at an Islamic center in Washington, D.C.
An English translation of the interview was provided by Evan Kohlmann, a terrorism analyst for NBC News. Al-Awlaki is a New Mexico native who graduated from Colorado State University in Fort Collins, Colo., in 1994 with a bachelor's degree in civil engineering. In 2002, he moved to Yemen, where he is at large. Intelligence officials believe al-Awlaki is living in an al-Qaida camp between the Yemeni cities of Shabwa and Mareb. Al-Awlaki's claim would contradict statements by the FBI, which determined that discussions in intercepted e-mails between Hasan and al-Awlaki were mostly about research being conducted by Hasan and philosophical. Based on that, the FBI said, a Joint Terrorism Task Force determined Hasan "was not involved in terrorist activities or terrorist planning" and chose not to launch an investigation of Hasan. In the Al-Jazeera interview, Awlaki denies any claims that he recruited or worked with Hasan for the Fort Hood attack. "I did not recruit Nidal Hasan, but America did with its crimes and injustice, and this is what America does not want to admit. Hasan, a Muslim Army psychiatrist, faces 13 counts of premeditated murder and 32 counts of attempted premeditated murder in connection with the Nov. 5 shooting attack at the Texas military facility. He remains under guard at a San Antonio military hospital, where he is paralyzed from the waist down due to injuries suffered in the attack.